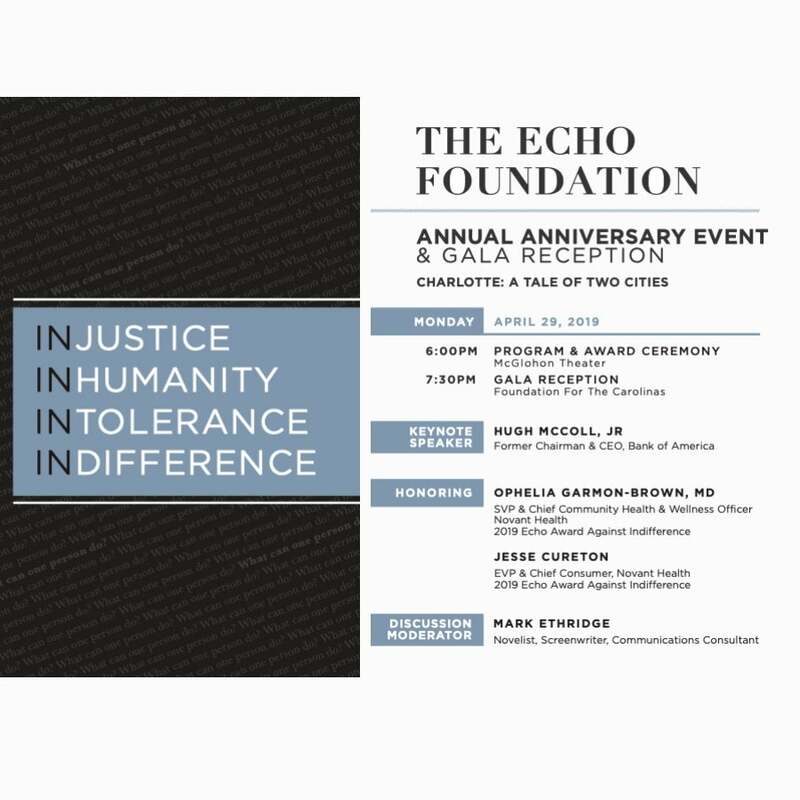 The Echo Foundation, 21st Annual Award Ceremony and Gala Reception will honor Dr. Ophelia Garmon-Brown, SVP & Chief Community Health & Wellness Officer, Novant Health and Jesse Cureton, EVP & Chief Consumer Officer, Novant Health, recipients of the 2019 Award Against Indifference. The keynote address will be given by Hugh McColl, Jr., former Chairman & CEO, Bank of America. The Echo Foundation was created in 1997 by Nobel Peace Laureate Elie Wiesel and educator and therapist Stephanie Ansaldo to lift those voices of human dignity, justice and moral courage who are driving positive action for humankind. Echo has educated hundreds of thousands of students by equipping teachers with curricula about global humanitarian issues and creating opportunities for students to take what they’ve learned in the classroom out into the world.